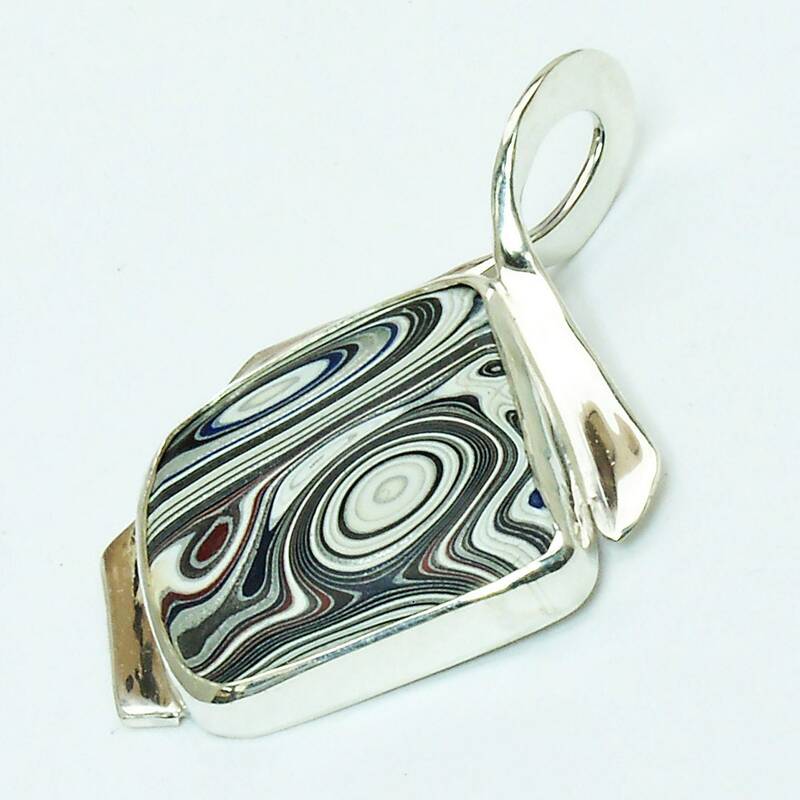 Fordite and Sterling Silver Pendant, 43.5 x 30.7mm. 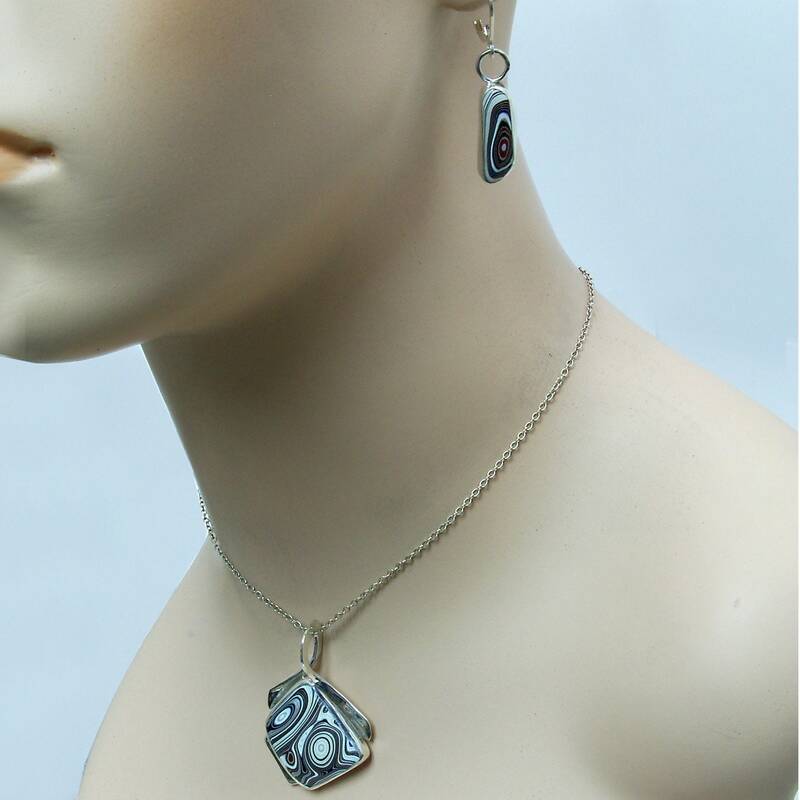 This is a one of a kind (ooak) art piece, jewelry that makes a fashion statement. 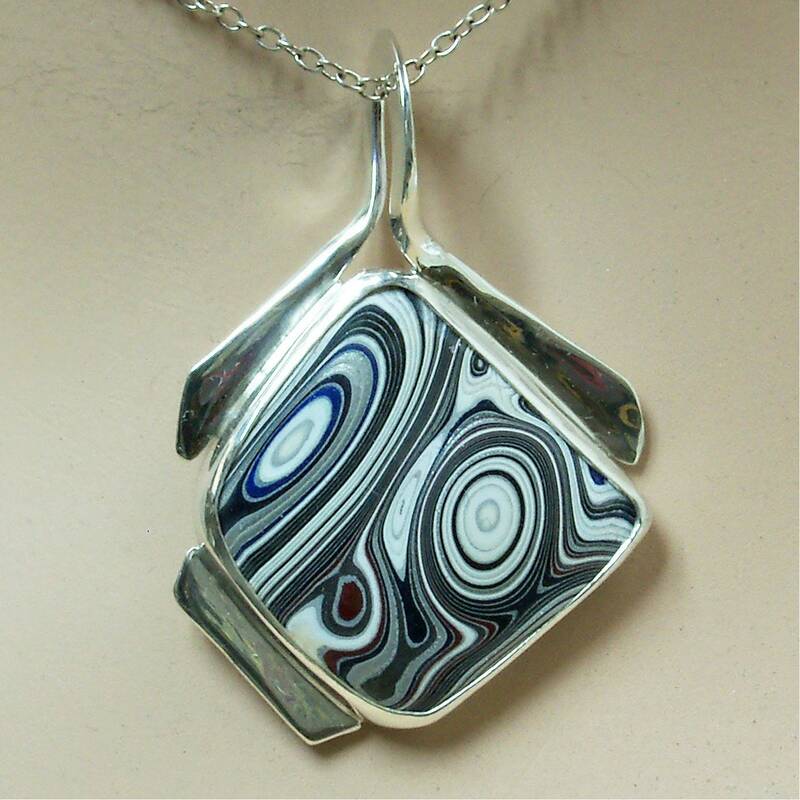 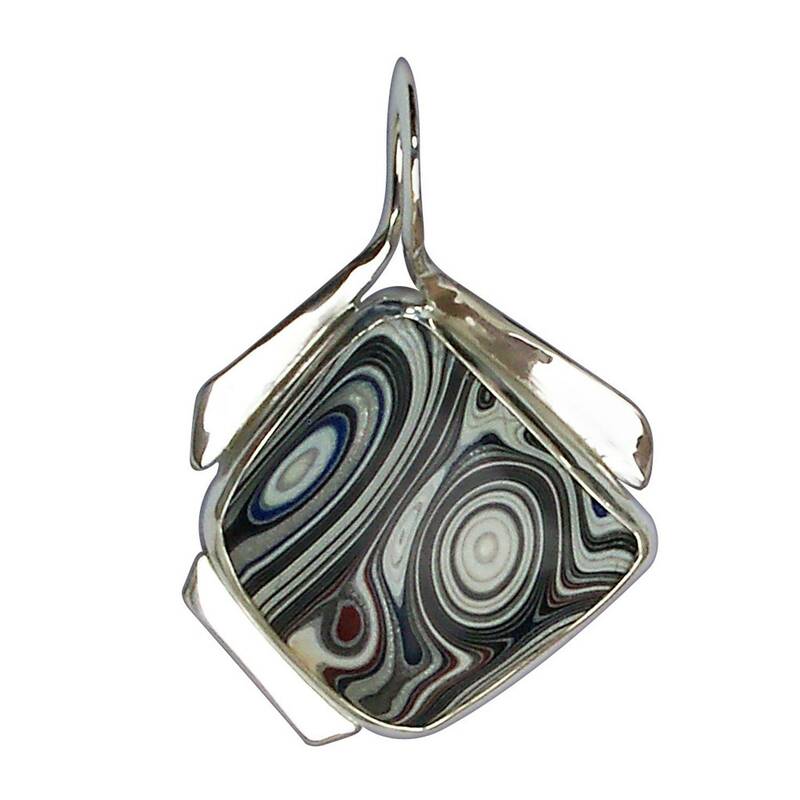 I personally hand forged the Sterling silver metalwork to take advantage of the beauty of this Fordite cabochon. 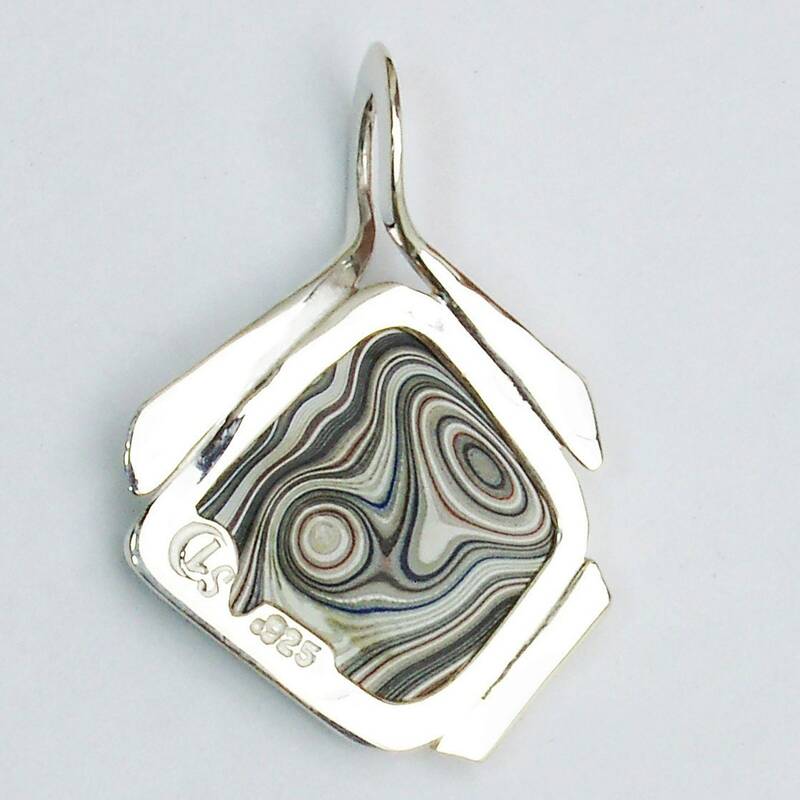 I personally hand cut the cabochon.